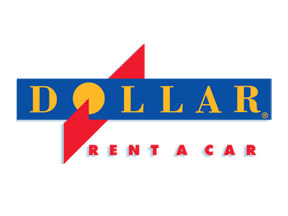 Dollar Rent A Car has opened a new branch in Oman to service customers at Muscat International Airport. The car rental company will offer premium fleet, service and competitive prices to passengers departing from and arriving into the Muscat International Airport. Marwan Al Mulla, General Manager, Dollar Rent A Car-UAE and Oman, commented: “This new branch is another example of Dollar Rent A Car’s commitment to rapid expansion into the region. The Muscat International Airport is expected to have a capacity to handle approximately more than 12 million passengers every year so this is indeed the perfect opportunity to get a share of these passengers.” Customers will enjoy driving Dollar Rent A Car’s fleet of wide range of various Japanese and other great vehicles. The company is staffed with professional agent who can recommend the best vehicle for both business and leisure travellers looking for short- or long-term leases of a wide selection of vehicles. Currently, Dollar Rent A Car has seven locations in Oman. The new outlet is located at Muscat International Airport, Arrival Hall and open 24 Hours. Musafir.com has announced a partnership with Visa across the UAE, Qatar and Kingdom of Saudi Arabia (KSA) and launch of dedicated websites for Qatar and KSA. 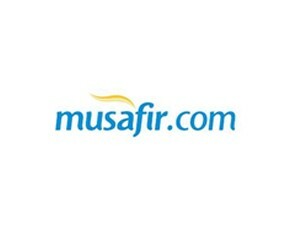 “At Musafir.com we like to exceed our traveller’s expectation. The travel marketplace is very competitive. Our partnership with Visa is a significant step for the rapidly growing travel industry in the UAE and GCC. We anticipate this to make an even more scalable business with the expertise to change the booking experience for travellers. The idea is to focus on getting people to move from offline booking to online booking. This association will be our next chapter of high-growth in this dynamic industry,” commented Sachin Gadoya, Managing Director and Co-founder of Musafir.com. Musafir.com also announced a special offer for all the travellers. A traveller will be able to save AED 200 on ticket booking using Visa debit or credit card until December 31, 2016. Travellers can save up to AED 1200 (for up to six people), using a Visa card only. Customers across the UAE, Qatar and Saudi Arabia, can receive their discounted air tickets in three easy steps. Once the destination is booked, customers will be redirected to the GOVISA page where the service will SMS a security code. After typing the code into checkout section, AED 200 will automatically be deducted from the original price. 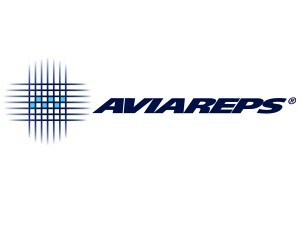 AVIAREPS has launched AVIACOLLECT, an online payment solution that allows small to medium offline airlines, hospitality brands, including standalone hotels and resorts, Destination Management Companies (DMCs), and providers of travel services, such as visa application, ground transportation, airport lounge access, car hire, attractions, sightseeing and travel insurance, to economically and effectively extend their international consumer and travel agent sales networks around the world. AVIACOLLECT was launched in response to the urgent business development needs of many small to mid-size tourism related companies to extend their sales distribution channels and presence internationally, in a manner that respects their unique brand, and is cost-effective to ensure a return on investment given limited resources. The payment solution can be used as a white label solution for AVIAREPS clients, allowing them to accept payments in targeted countries with local bank connections and in local currencies. As an AVIAREPS product AVIACOLLECT is naturally supported with in-market on the ground proactive promotion and distribution management by AVIAREPS professionals to established consumer and travel trade networks. AVIACOLLECT is also tailored to the needs of consumers and local travel agents seeking an online one stop information and payment platform, as visitors to the site can book all types of services for travel around the world; including accommodation, airport transfers, tours, airport lounge access and more, and then pay for them all in one online credit card payment. Each AVIACOLLECT portal is also tailored to the consumers and travel agents of each particular market, so that language, currency payments and even visa and other information is specific to that specific country or region. Clients too can tailor seasonal and promotional offerings to each individual market. 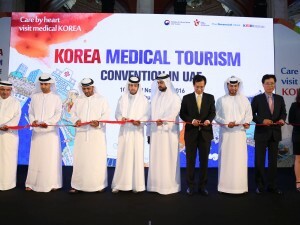 The 3rd Annual Conference on Health and Medical Tourism – Brand UAE, organised by Thumbay Hospital and Gulf Medical University, was held at the Dusit Thani Hotel, Dubai. The theme for this year was nurturing partnerships and exploring opportunities. 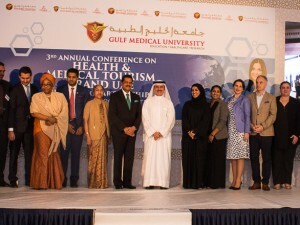 Spokesperson from Gulf Medical University reiterated that they are making efforts to create a new workforce in this sector in keeping with the vision of the government of Dubai to make it a destination or a hub for health tourists from around the world. Chief Guest for the event was H.E. Dr. Amin Al Amiri; Assistant Undersecretary for Medical Practice and License Sector Ministry of health, UAE with Guest of Honour was Thumbay Moideen; Founder President, Thumbay Group UAE. At the event leading medical tourism experts from UAE were honoured with special awards of honour and recognition and the third batch of graduates from the medical tourism facilitator course also received their certificates at the event. Musafir.com has launched the online visa application service. Tourist visas to the UAE and 14 other destinations can now be directly applied on musafir.com and have their travel documentation processed and completed with no hassle. 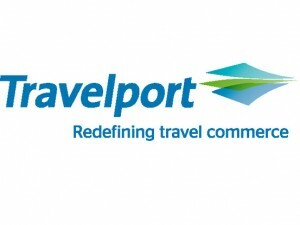 They are the first travel provider in the GCC region to introduce this service online. Under the simplified procedure, applicants submit their application documentation and payment directly on to the website post which the visa will be processed and emailed back to the customer, ready to be shown at the immigration section of the airport. This new product is expected to increase in inbound as well as outbound travel. This new product launch aligns with the UAE’s ambitious Vision 2021 that encompasses all elements that lay the foundation of a smart city, inclusive of the smarter travel industry. With the recent change in the UAE visa norms for GCC expats, travellers into the UAE from the GCC countries will now have to apply for their visa prior to their travel. With this product flexibility, there will be a noticeable shift of visa applications online. 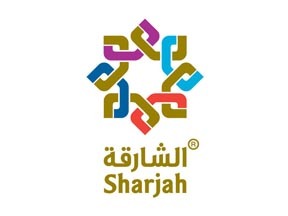 Sharjah Commerce and Tourism Development Authority (SCTDA) and Hamriyah Free Zone both launched new marketing roadshows targeting India during the past few days, building on a busy year of promotion activities by Sharjah authorities. The SCTDA kicked off a four-city roadshow in Mumbai this week, which also visits New Delhi, Chandigarh and Bengaluru (Bangalore). The roadshow introduces seven Sharjah hotels, two destination management companies, plus leading budget carrier Air Arabia, to key Indian outbound tour operators and other industry contacts. Trade, investment and tourism from India have become a top priority for Sharjah, as its trade promotion organisations campaign widely to capitalise on growing interest in the emirate. Meanwhile, a delegation from Hamriyah Free Zone, headed by Saud Salim Al Mazrouei, Director of Hamriyah Free Zone Authority (HFZA) and Sharjah Airport International Free Zone (SAIF Zone), met with business leaders in Delhi a few days ago. Hamriyah Free Zone and SAIF Zone have both organised an extensive calendar of trade and investment promotion campaigns in India this year, visiting all major commercial centres in the country. Benefits such as 100 percent ownership, tax exemptions and allowing companies to repatriate 100 percent capital and profits have made the free zones very popular with Indian businesses. According to official estimates, about 7,000 of the 15,000 companies operating out of the two free zones are owned and controlled by Indian investors.